Chichen Itza came up in a discussion recently about how you use to be able to climb the great stairs of the pyramid all the way to the top. I was fortunate enough to have done that very thing when you still could. I’m not sure of the specific year when I did the climb, but it was somewhere in the very early 2000’s. My wife and I were down there with a group of people from work (annual reward trip). 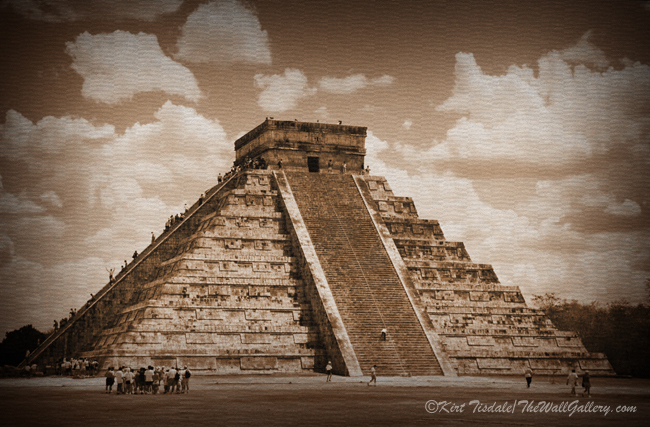 We were staying in Cancun and took a chartered tour bus to Chichen Itza. I love history, architecture and ancient ruins, so I was in my element. Of course I was not without my camera and took a ton of shots of the different ruins, El Castillo being foremost in my shoot. I was fascinated from a photography aspect of pictures with people walking up the steps of this famous pyramid. Fast forward to 2007 and we were back down there with some close friends and our respective families. My girls had heard about climbing this pyramid and couldn’t believe their father who has a fear of heights actually did it. Imagine their disappointment when we found out you could no longer climb the pyramid. Due to an unfortunate death to a falling tourist in late 2005 and to the damage being done by the sheer load of people trudging up and down those steps along with the graffiti left behind by those same people, it was no longer permitted. 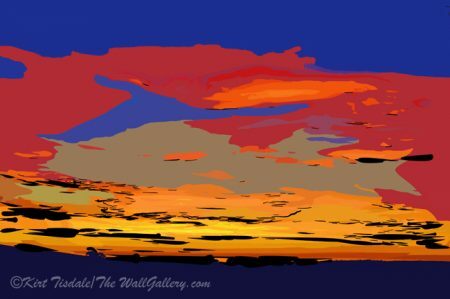 Those pictures suddenly started taking on a new element for me as something that will not be seen again. As I worked with them for my gallery I kept getting this circa 1930’s vibe and Indiana Jones feel from them. 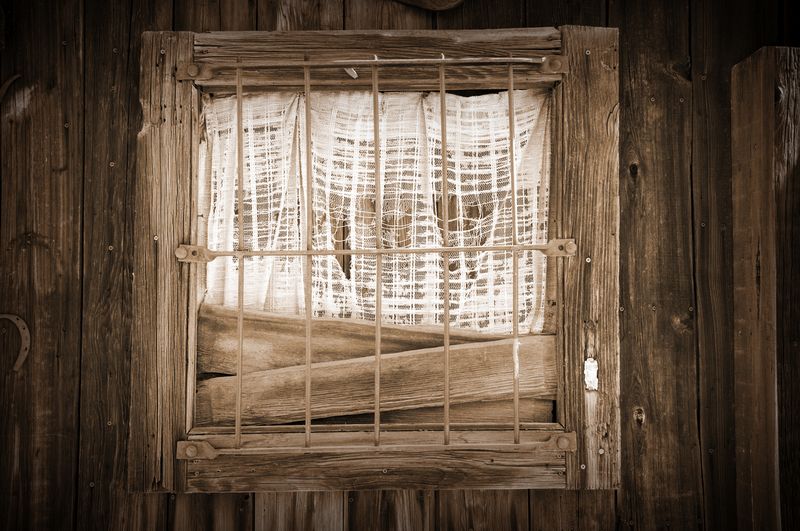 Sepia popped into my head and after converting them decided to add another element of that old vibe with some texture. What came from that process is these three captures converted to what I think looks like an old Indiana Jones element from that era (of course I realize he wouldn’t be discovering anything new in a place that had tourist climbing pyramid steps, but my vision of this look didn’t care about such details). “Walking Up The Pyramid” you can see people coming down using my technique and people walking down like it wasn’t an issue….but you get the visual impact of how steep those stairs actually are. Now you can’t leave without me telling you about the wonders of that climb. 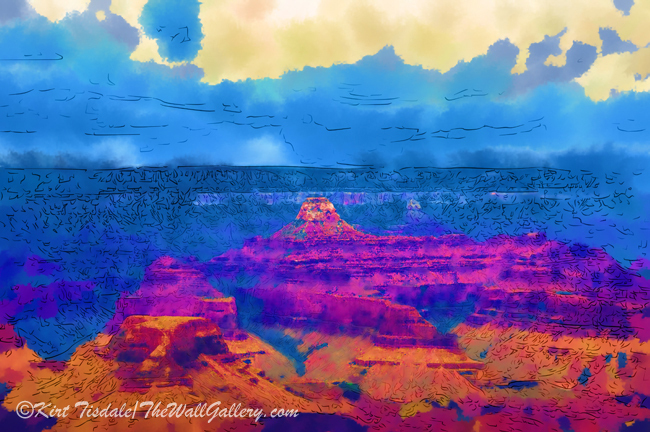 I have a fear of heights such as the edge of the Grand Canyon (edge only), glass elevators that take you up more than 10 stories….I have some tolerance….ledges on mountains to name a few. I knew climbing the stairs wouldn’t be an issue as you are looking at the structure. I didn’t have any issues climbing to the top and was a little cautious about walking around by the edge at the top….ok…I stayed pretty close to the walls of the structure you see up there. The view is incredible and I was fascinated by the placement of the different windows in the top structure. Truly forgetting about how far up I was, it was time to come back down. You have no idea just how really steep and narrow each of those steps are until you go back down. For me it was literally too much to try and walk back down those steps…one trip or miss-step and you will literally fall all the way down (which is unfortunately what happened to the tourist I mentioned above). The best way is to sit down and slide your backside down each step. I have toured the site multiple times and have learned new things each time. 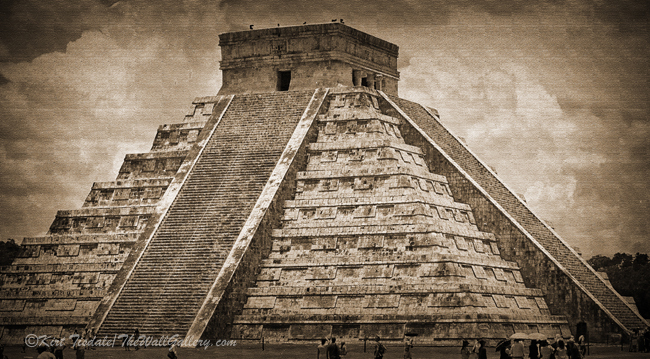 For more information about Chichen Itza – Wikipedia Here. Chichen Itza is located in the middle of the northern tier of the Yucatan Peninsula between Merida towards the Gulf of Mexico and Cancun on the Caribbean side. Thoughts? 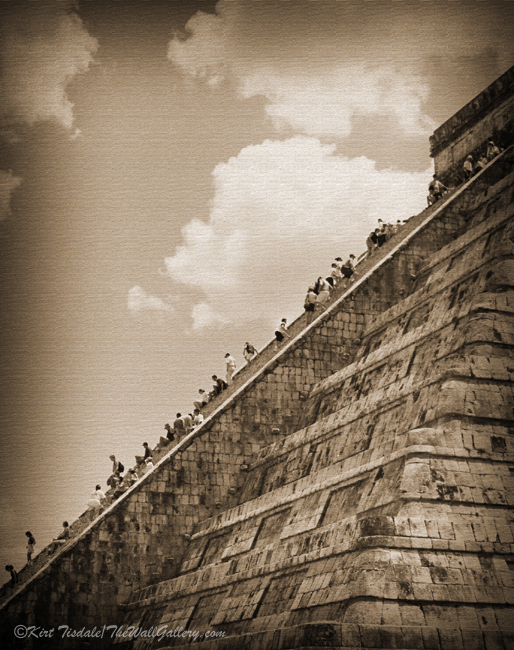 This entry was posted in Photography, Sepia Photography and tagged chichen itza, kirt tisdale, mayan city, mexico, photographer, pyramid, ruins, sepia prints, sepia tone on November 13, 2017 by Kirt D Tisdale. 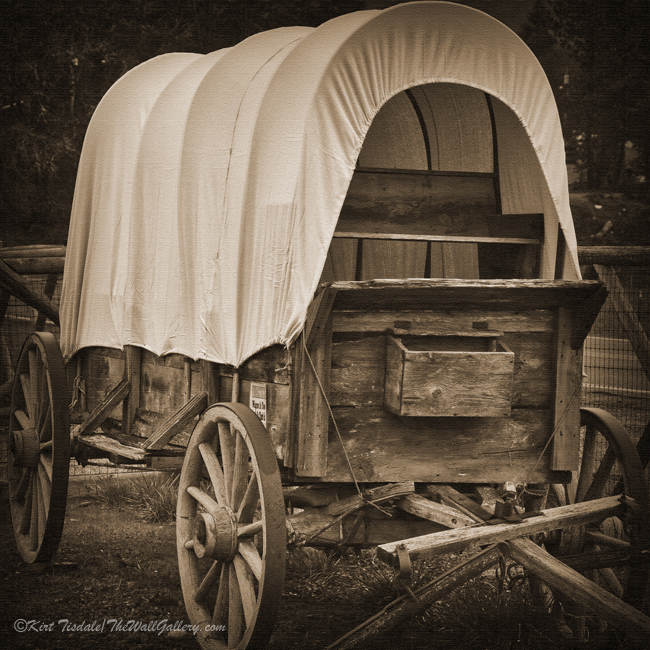 It seems to me that whenever I come across photo opportunities that are of the old west, my mind immediately thinks “What would this look like in a sepia tone?” The sepia tone gives photography an old rustic look since it dates back to the 1880’s and is a familiar sight from photography taken in the old west. 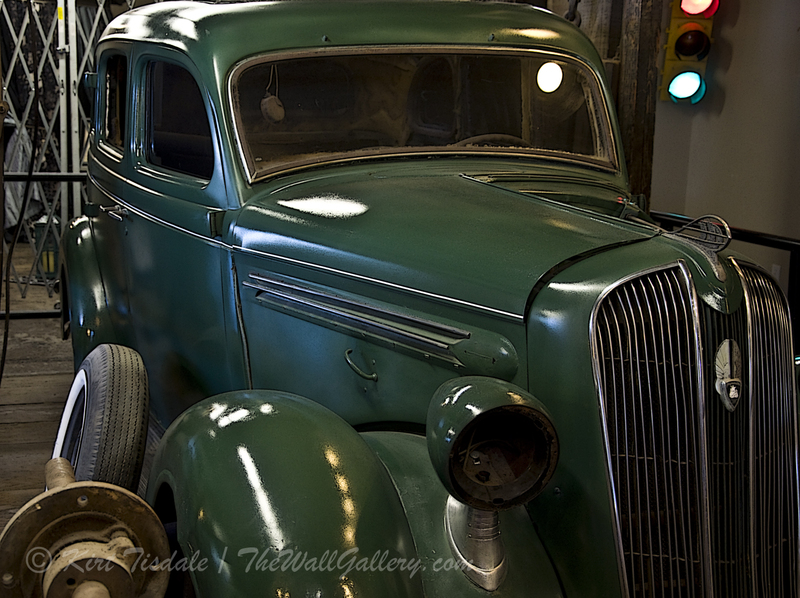 Living in the Phoenix area, there are plenty of opportunities to capture shots from that time period. A couple of weeks ago, we had family visiting and decided we wanted to go up to Tortilla Flats for lunch. None of us had been out there in a number of years and thought it would be fun. For those of you that are wondering what Tortilla Flats is, it is a replica of an old west town (and I use the term loosely) that houses a restaurant, saloon, ice cream parlor, gift shop and small museum. Tourist attraction, you say…absolutely but based on actual history. 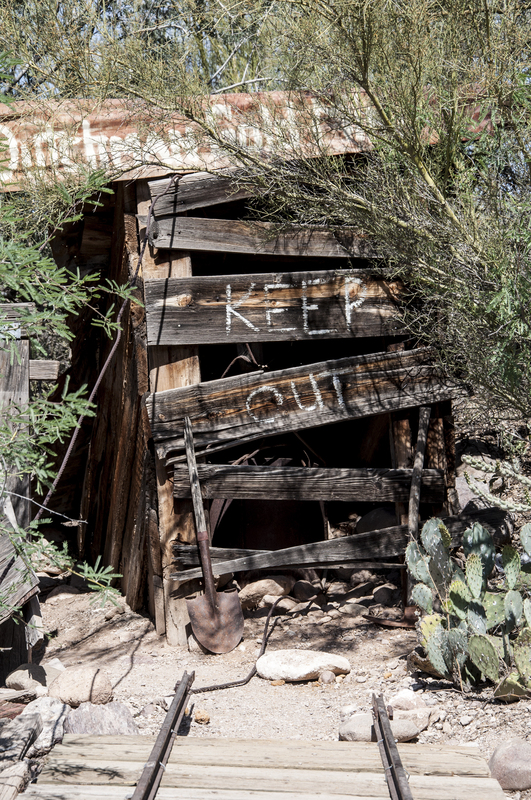 It was a stagecoach stop and originated as a camping ground for prospectors searching for gold in the surrounding Superstition Mountains. 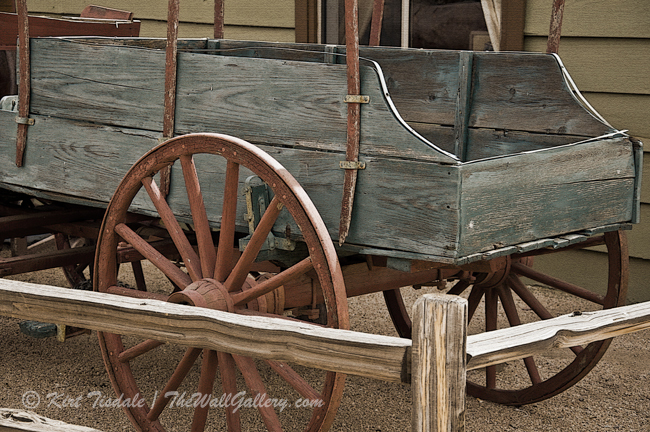 Needless to say, there are numerous “Old West” photo opportunities. 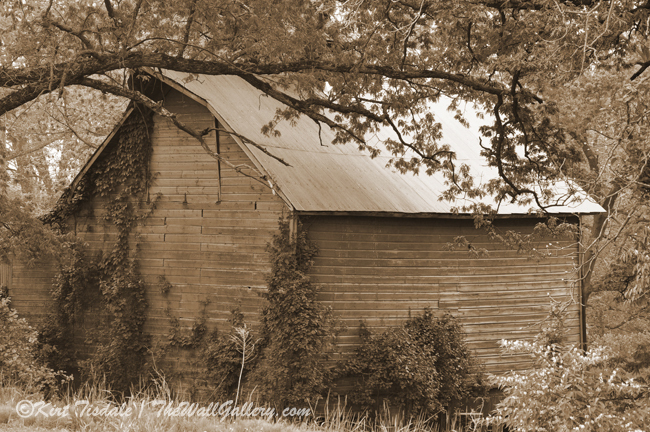 I wanted to share a couple of shots that I took that day and walk you through my “sepia” process to create that old rustic look to the photos. Both shots actually look good in color, but for someone who wants an art print of the rustic old west, they typically are looking for the sepia tone as they decorate a room around that warm earth tone. The first shot is of a fake gold mine; the “Lost Dutchman Gold Mine” which is rumored to be loaded with a cache of gold somewhere in the Superstition Mountains. 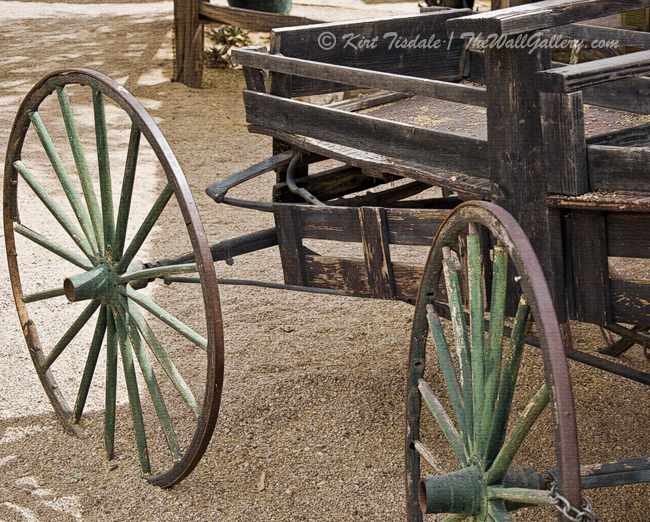 This setting is part of the “ambience” of Tortilla Flats and created a great photo opportunity. 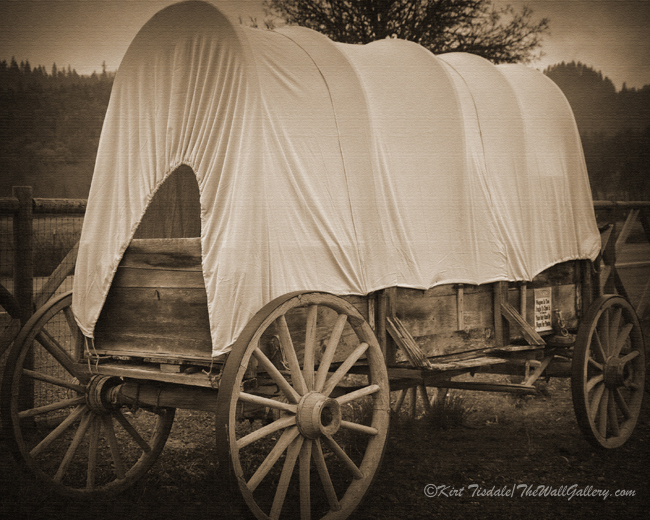 In this second shot, I converted the photograph to a sepia tone using Photoshop. 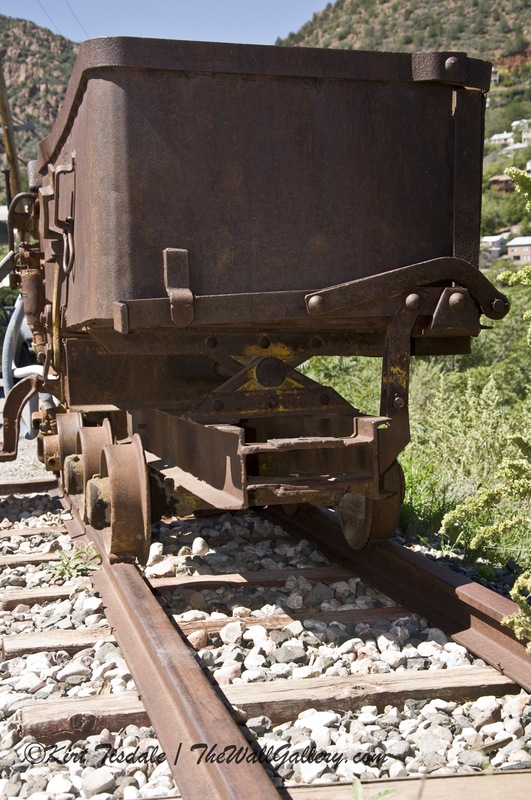 The look now takes on an age by using this color. 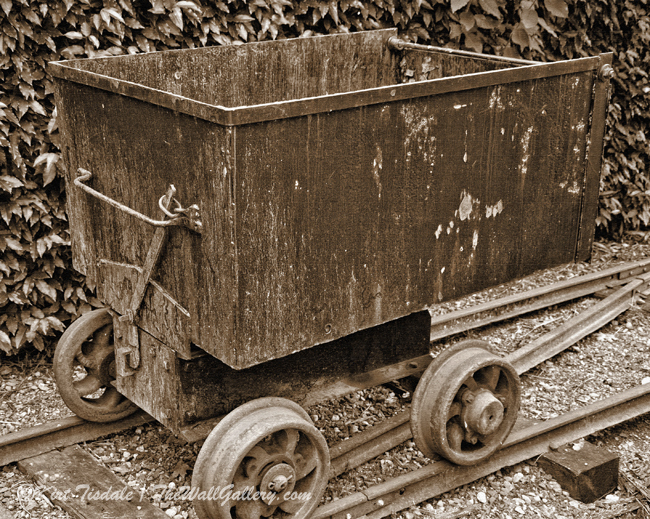 The last shot shows the sepia tone, but with a light filter darkening the edges, creating a focal point, depth, and drama completing the look I am going for. 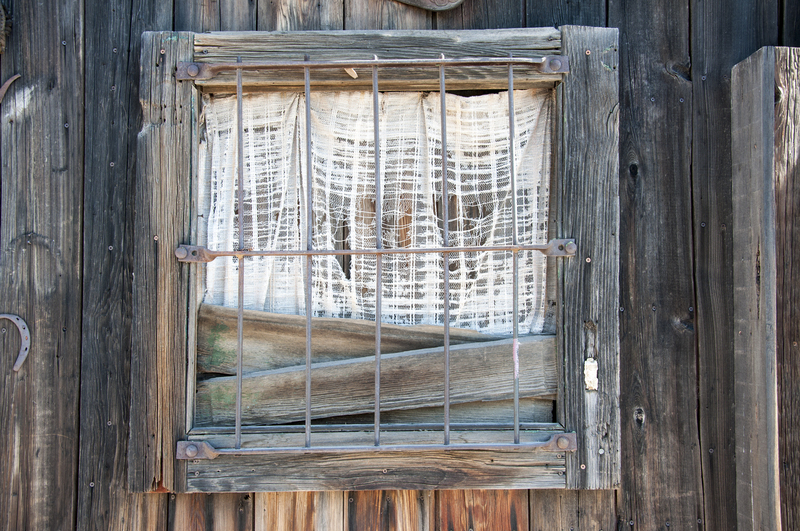 This next shot is of an old wooden window partially boarded up (again… ambience for the setting) and a great photograph. 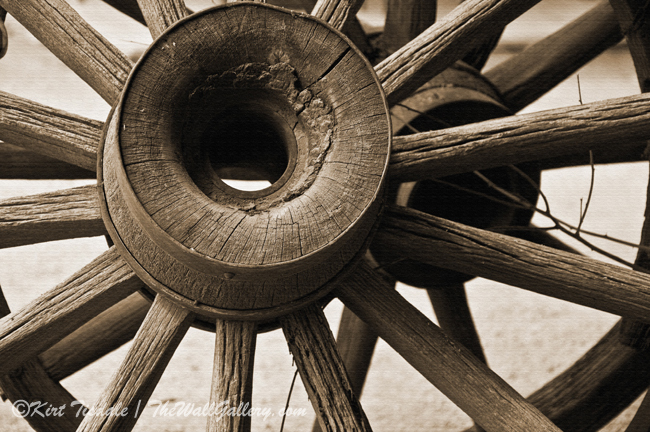 I like the color in this shot as it pulls the wood grains out, but for purposes of an art print portraying the look of this era, I convert to sepia, which is the next shot. And then doing the same lighting treatment as in the first series, I finish up with an art print that has a touch more drama to complete the look I was going for. 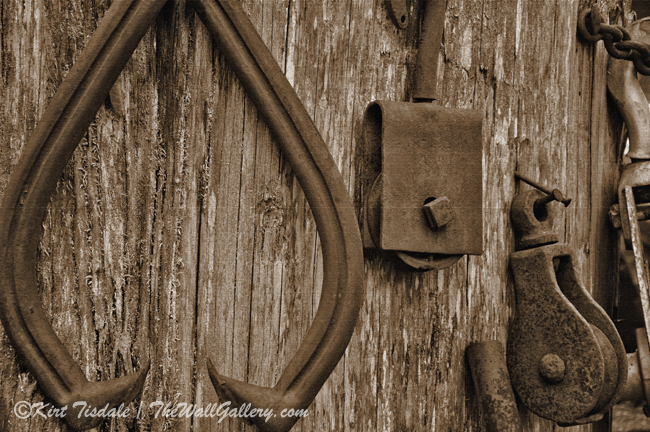 This entry was posted in Art Prints, Sepia Photography and tagged arizona, historic, kirt tisdale, old west, photographer, photography, rural, Sepia Gallery, sepia photography, sepia prints on April 21, 2015 by Kirt D Tisdale.